Death Road to Canada is coming to PS4 next month and this, friends, is a Good Thing. A top-down, procedurally generated survival horror shooter where you can “find a dog, teach it to drive. Have all the humans in your party die. Make the dog recruit other dogs until your band of survivors consists of 4 dogs driving a muscle car.”, we naturally decided to sit down with one Kepa Auwae, the co-founder of developer Rocketcat Games to hear more about this hilariously entertaining zombie mashing effort. We hope you enjoy this Death Road to Canada interview! PSU: A randomly-generated road trip action RPG that is absolutely stuffed to the hilt with zombies; what was the thought process behind the core concepts of Death Road to Canada? Kepa Auwae: I’ve always been really interested in randomly generated storytelling. I also love how unintentionally goofy the zombie genre can get. This lead to Death Road to Canada, a game about making your own story based on your crew of random weird jerks as they try to survive a goofy zombie apocalypse. 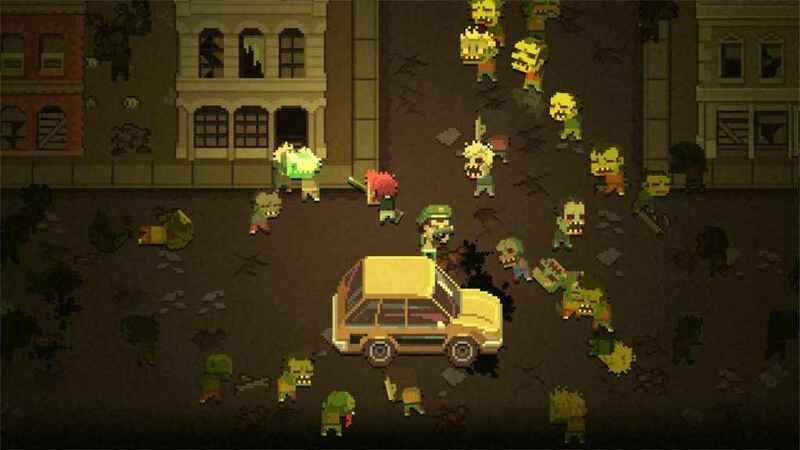 PSU: What was behind the decision to make the zombie horde in Death Road to Canada revert to their iconic, shuffling gait? Kepa Auwae: Romero zombies are the only true zombie. Not many games get “slow zombies” right, so we wanted to give that a shot. By slow zombies I mean the classic version. They’re mostly harmless on their own, but not when there’s massive hordes of them. In our game, up to 200 zombies can hunt for you and track you down at the same time. Sometimes, there can be even more on the screen at once. 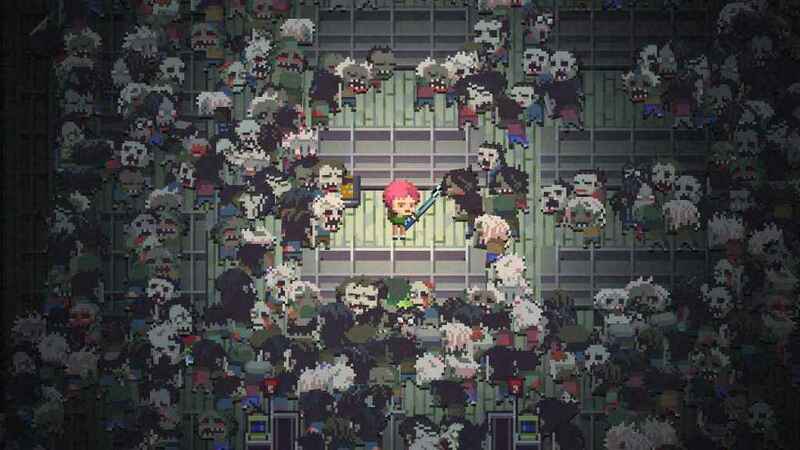 There can literally be hundreds of shuffling, Romero style zombies on the screen at any one time in Death Road to Canada. PSU: After watching the trailer, it seems that there are no shortage of weapons and gadgets with which to devastate the undead with. How many weapons and items are in Death Road to Canada and which ones are your favourites? Kepa Auwae: There’s over 180 weapons as of right now. This is not counting the many items and pieces of furniture you can use as makeshift weapons, such as ripping a toilet off the floor and throwing it at a horde of zombies. My favorite standard character weapons are the chainsaw, air horn (sends zombies flying), flamethrower, the different spear weapons, the deployable turrets, and eggs (they turn into chickens when thrown). My favorite special character weapon is the Valkyrie’s Hammer. You can throw it at a horde of zombies and it will pinball smash against every zombie as it magically flies back to you. 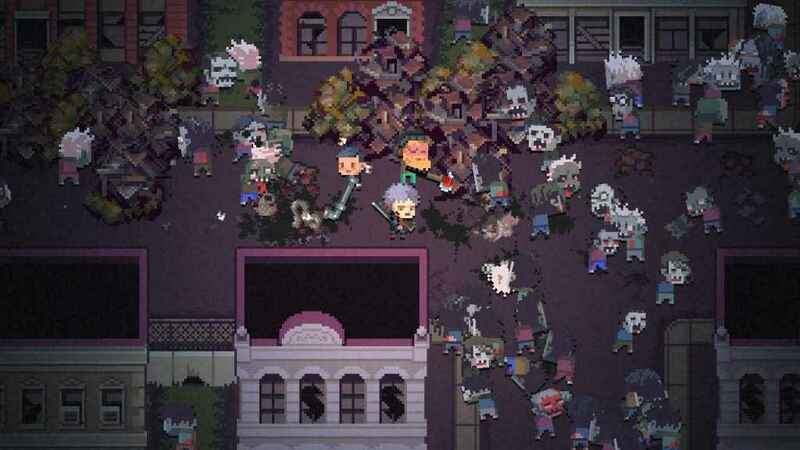 PSU: The sheer number of zombies that Death Road to Canada manages to cram on screen is absolutely insane. 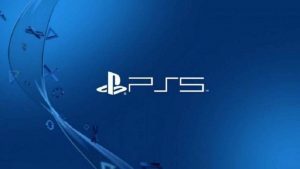 Can PS4 owners expect a higher zombie count than their mobile counterparts? Kepa Auwae: Yes, there are 200 actively tracking you at once and then more on screen. We could go higher than this, but it would make the game even more difficult. A big part of any Death Road to Canada playthrough is managing your team of ‘Jerks’ and deciding where their murderous road trip should progress to next. 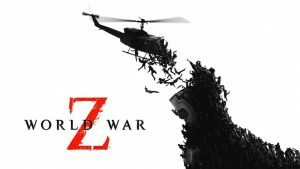 PSU: Sheer numbers and horde tactics aside, are there different types or classes of zombie which present a different sort of threat to the player? Kepa Auwae: “Only one type of zombie” was a big design goal for us. The zombie appearances can vary a lot (there are secret clown zombies), but they’re all a little part of the horde coming after you. PSU: One of the defining factors of Death Road to Canada is being able to manage a car full of jerks – explain a little more about this; how does such ‘jerk management' occur and in what sense does it affect the game itself? Kepa Auwae: You find people and other beings on the road to recruit. They can be randomly generated with different appearances, personalities, skills. They can also be unique special characters with their own abilities, or characters you create with the custom character maker. Jerk Management involves juggling both your resources and the personality conflicts of everyone in the group. If someone in your party loses too much morale, they can cause arguments, abandon the group, or even betray the group as they leave. Depending on how disloyal someone is, they could even try to steal the group’s car. As you manage the car, you’re also trying to get the resources you need the most at the time. There’s ammo, gas, medicine, food, new weapons to look for, and new recruits to replace problem ones. You will want to go to locations that have a high chance of providing what you need, and avoiding locations you think might obliterate your group. There are no shortage of mundane and exotic weapons to aid you in slaughtering the shuffling zombie hordes in Death Road to Canada. PSU: Being procedurally generated, players can expect a brand new experience with each playthrough of Death Road to Canada. With that in mind, what sorts of special and rare events can we expect to run into? Kepa Auwae: There are many special and rare events you can run into. Some of them give you the Special Characters in the game, such as finding The Last Bodybuilder. He can’t use weapons at all, trying to do so will just have him grunt and flex with his special posing routine. However, he can pick up things that most people can’t. If you can get him a refrigerator or wrecked car to carry around, he can wipe out a large group of zombies by tossing a car at them or smashing them under a fridge. Other special events can let you explore a rare location, or give a rare text event. The Ghost Mansion is one of the rare locations, where you can find random ghosts to talk to. If you have the right character for it, you can kiss a shy ghost so it explodes. An example rare text event is the one where you can replace your hand with a chainsaw hand, if you have enough medical skill for it. PSU: Does Death Road to Canada embrace any elements of roguelike design whereupon with each playthrough the player (or players), unlock a new weapon, item or something similar to keep that lovely feeling of progression going? Kepa Auwae: There are many perks and traits you can unlock for your custom characters. One of the more expensive ones is Phoenix, which lets you come back to life once in a big explosion. The downside: everything below your head will be turned into a skeleton. There’s also unlockable gameplay modes, and unlockable gnomes. I didn’t want to lock away weapons, items, or characters, so you could possibly find any of the characters on the first playthrough. 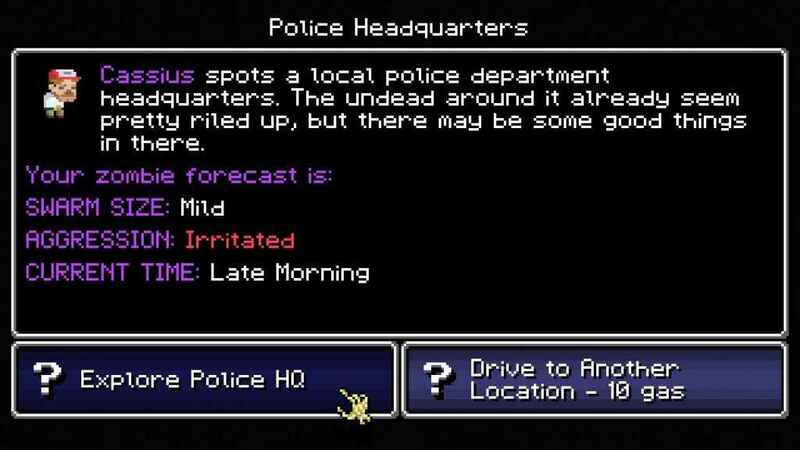 Death Road to Canada is packed with special and unique events. Like Christmas, for example. PSU: An entertaining diversion from the game's top-down, zombie blasting gameplay are the interactive text interludes that appear throughout the game. What was the idea behind including these? Kepa Auwae: They’re a big part of the game, it’s so you can use the personalities of different characters to get special choices and results in events. One example is that during a bandit event, a charming and smart character may be able to offer the bandits a deal, where you can lose less supplies. A very aggressive and strong character may be able to suddenly knock the bandit’s leader out. A character that is not loyal to the group may be able to sell the group out to the bandits. An oblivious character may just drive right past the bandits without noticing there’s a road block there. PSU: How does the couch co-op play aspect of Death Road to Canada on PS4 affect the status quo of the game? With additional players involved, how does the game world react? Kepa Auwae: The game supports co-op well, as even in single player you’re part of a group. You can have up to four characters running around, and you can swap leaders at any time. The second player can control anyone in the group when they want, and can also switch characters like player one can. PSU: Speaking of multiplayer, is co-op solely restricted to local play, or, does Death Road to Canada support online multiplayer too? Kepa Auwae: Local only for now! PSU: What's the single most ridiculous thing that can happen in a single playthrough of Death Road to Canada? Kepa Auwae: That’s hard to say. There’s so many random moving parts in each playthrough that I keep getting surprised by what players come up with. One of my favorite rare-but-not-incredibly-rare things is that there’s a few ways to make a dog super-intelligent. These dogs can then drive cars and use weapons. If you give a super-intelligent dog a weapon, it will walk on its hind legs as it shoots its gun or uses its chainsaw. The most ridiculous, way out there things happen when multiple different “somewhat ridiculous” things happen like the above, in combination. So maybe your character turns into a fly man, then turns into a dog, so you’re a walking fly with a tiny dog head. And then maybe you find a super rare minigun on top of that, and a teleporter. And then you find the secret SWOLE MOUNTAIN GYM trainer that can also turn your character very tall and thin. At this point your character is a giant mutant dog had thing that sprays out bullets from a comparatively tiny minigun. Source: Big thanks to the lovely Kepa Auwae and Plan of Attack PR for arranging this Death Road to Canada interview!